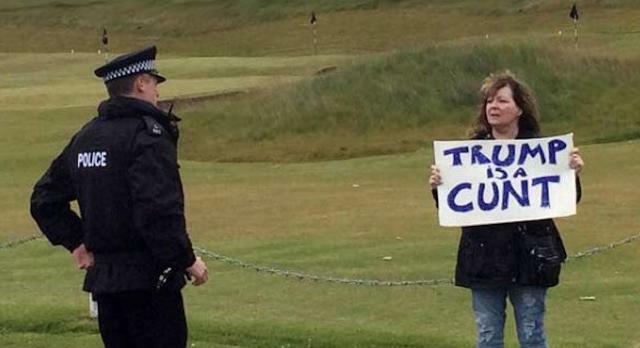 Protesters gathered at President Trump’s Turnberry golf resort in Scotland on Saturday, chanting at him as he played the course. And clearly, from this image, the mood was relaxed between protesters and police. 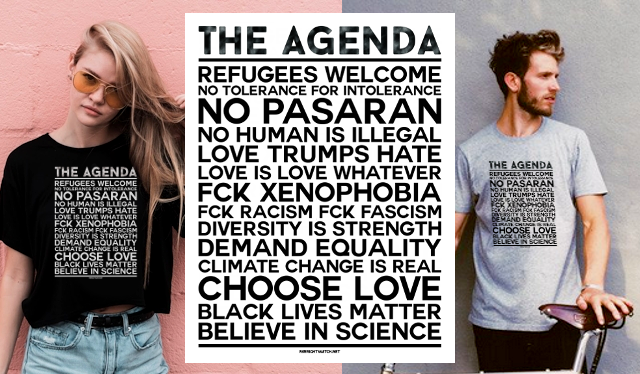 They included - of course - the rather awesome Janey Godley, who earned plaudits for her infamous sign in 2016, bringing a brand new one today with the same message.